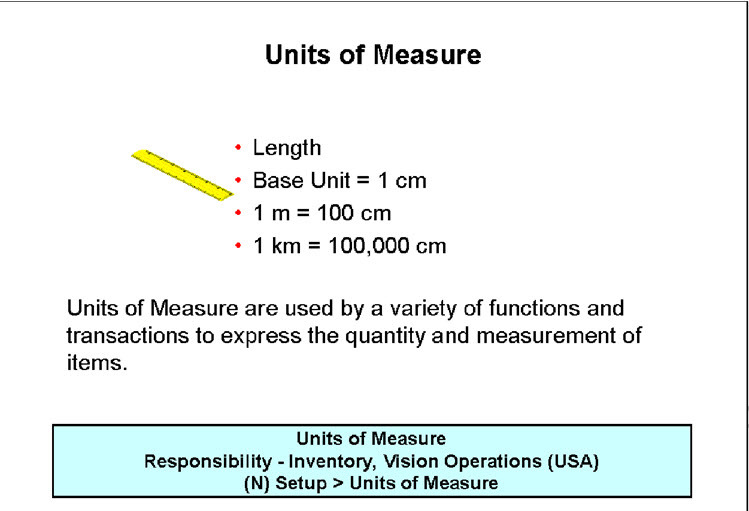 Units of Measure are used to quantify items. They are grouped with similar characteristics to Units of Measure Classes, such as quantity, weight, time, and volume. Units of Measure also include conversion mechanisms that enable you to perform transactions in units other than the primary unit of the item being transacted. The values defined in the Units of Measure Window provide the list of values available in the Units of Measure fields in other applications windows. 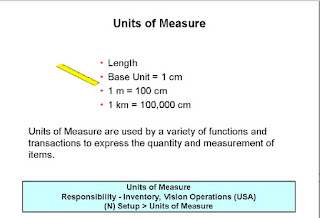 Units of Measure are not inventory organization–specific.